In 2011 I worked on a project called DataBridge which aimed to look at how communities, voluntary organisations and social enterprises can make use of open data, explore it, combine it with their own information, to help build a bigger, truer picture, to help with funding & finance, influencing, evidencing need. DataBridge was a collaborative project to explore these ideas. It was led by me (Jo Ivens), technical expertise, new ideas and general fun was provided by Oxford Consultants for Social Inclusion (OCSI), a spin-out research consultancy from the University of Oxford. OCSI. Further advice, support, local expertise and further fun was provided by Brighton Community and Voluntary Sector Forum (CVSF). The project finished in autumn 2011, but I carried on posting and exploring for a while on the DataBridge blog. As life moves on again, I’m mothballing the DataBridge blog and archiving all the posts here. So a final post from me on DataBridge, certainly for the time being, as I get to grips with my new job as Chief Executive of Brighton & Hove volunteering charity, Impetus. But, you’ll be glad to know, the work continues. The final report on the DataBridge project highlighted 10 themes and made recommendations against each theme. Five of these were related to evidencing impact and the the commissioning environment, the other half were around the wider open data agenda and how the sector and local government could respond. Brighton & Hove convenes a City Needs Assessment Steering Group which is made up of reps from the Council, the Clinical Commissioning Group, Sussex Police and representatives from the voluntary sector through the Community & Voluntary Sector Forum and the LINk. The group aims to improve local outcomes by leading a programme providing evidence based intelligence for local decision makers on the needs of the population of Brighton and Hove. For information about the steering group you can contact CVSF Policy Manager, Emma Daniel. I have produced a brief summary of DataBridge issues, recommendations, feedback from stakeholders and actions. I will update from time to time on how we are progressing against these, especially in conjunction with both the work on City Needs Assessment and the development of Brighton’s Intelligent Commissioning programme. Below you will find those recommendations in full. More detail can be found in my blog post on the final report, which breaks it down into chapters so you jump to Chapter 4 for recommendations for the local partnership and Chapter 5 for recommendations on open data. 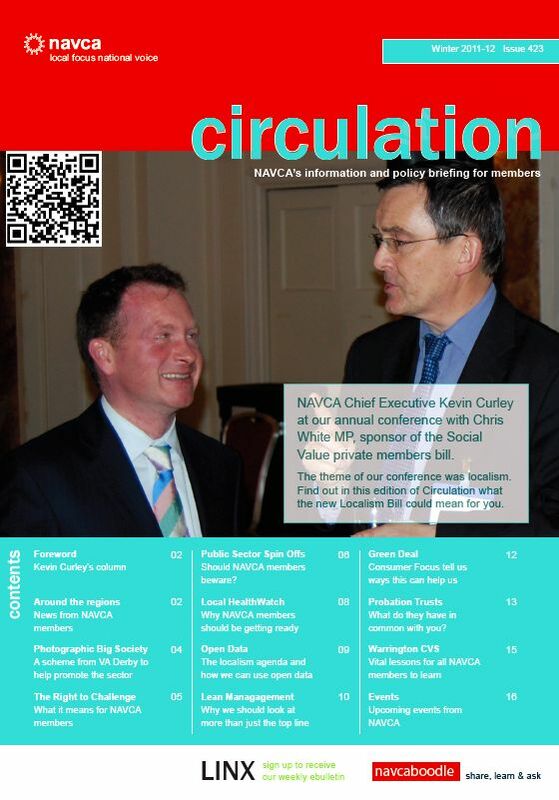 Yes, this is a terrible pun on the title of NAVCA’s information and policy briefing magazine for its members – Circulation. The reason being that I was asked to write an article for their Winter edition on open data and what this might mean for NAVCA members. NAVCA is a membership organisation representing infrastructure organisations in each area of the country. Members are charities who provide support, development, professional advice, advocacy and representation services for other organisations in the voluntary and social enterprise sector locally. In 600 words I tried to draw on experience in Brighton to set out some of the opportunities and risks for Infrastructure organisations, and actions they could take to get on top of this agenda and make the most of it. 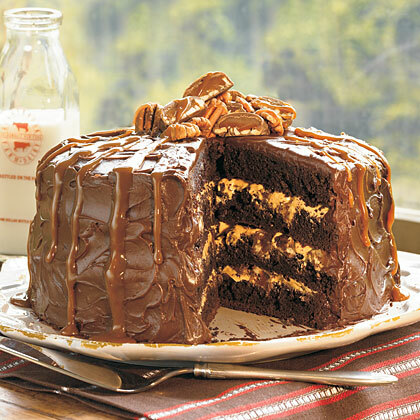 After a hectic month and a bit of a hiatus on the DataBridge blog, we’re back with a vengeance! This update contains the final report from OCSI on the work they did with local charity Amaze, who work with families of children with a disability. Below you can find the full report of what they did and their findings, and the full dataset to Lower Super Output Area. The report sets out some techniques to help identify potential users, using public datasets and comparing with the charity’s own data. It uses visualisations to illustrate where the overlaps and gaps are. You can access the full dataset here (excel). Finally, Brighton colleague, Mark Walker, recently gave a presentation to SOCITM (the Society of Public Sector IT Managers) about how local authorities and the voluntary sector can work better together on intelligent commissioning, and the role of IT, technology and data. He talked about DataBridge as one of his examples, it was written up by the Microsoft UK Government blog and Mark’s slides are below. 14/11/2011 – Finding Public Data – Help Is At Hand! One of the key findings of the DataBridge project was that groups we worked with often struggled to find data, even that which they knew was publicly available. DataBridge project partners, OCSI, have produced a short video illustrating how to use www.data4nr.net to find useful information. Data4nr stands for Data for Neighbourhoods and Regeneration, and is run by OCSI on behalf of the Department of Communities & Local Government. During the project, OCSI worked with local children’s disability charity, Amaze, to show how to use public data to better understand your beneficiaries, and potential beneficiaries. I’ll be posting the full Amaze work tomorrow. Our data analysis partners, OCSI, worked with one of the DataBridge groups, Amaze, on a project that shows how data held by local VCS groups can be compared with nationally-published data, to identify those areas or groups that are under-represented in the organisation’s work. This is important to be able to show need and demand to funders or commissioners, to improve services or to reach a specific groups of beneficiaries, for marketing, for building networks and for advocating on behalf you users. As part of the DataBridge project, the lovely Graham at OCSI created a tool for matching postcodes to super output areas called BNgeo. Super Output Areas (SOAs) are a set of geographical areas developed to produce a set of areas of consistent size, whose boundaries would not change (unlike electoral wards), suitable for the publication of data such as the Census. They are used by central and local government in analysis, decision-making, and resourcing, so it is useful for voluntary organisations to be able to present their own information based on SOAs. During the project we saw that many groups have a great deal of data about their users and user needs, but it is postcode linked and difficult to map across to other units, such as SOAs. OCSI have developed a simple tool to enable groups to do this. 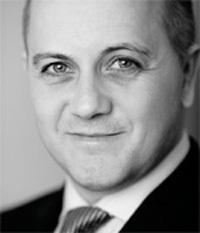 Visit www.ocsi.co.uk for more from OCSI. Last Friday saw us presenting the findings and recommendations from the DataBridge project to an audience of voluntary sector, council health and university colleagues. The event was filmed by our nice friends at Public-i (webcast to follow shortly). Over the next few days we’ll post up the talks, presentations and resources that we shared on the day. Here’s the full presentation which has a little bit of background and context then the 10 issue/recommendation slides that are annotated above. To hear about this in more detail, you can watch me give the presentation – go to 27.44 mins. Over the last two days we’ve published a series of blogs reporting on the DataBridge project as we come to the end of this phase. If you prefer you can read the whole thing at once in a more traditional downloadable report format here. The feedback event is tomorrow, where we will be presenting the findings and recommendations plus the learning from the demonstration project that OCSI have done with Amaze using their data. The event will be webcast from http://www.events.public-i.tv/core/ tomorrow from 2pm. DataBridge is a short exploratory project over spring and summer working with the community and voluntary sector to investigate trends and issues on data use. We worked with six Brighton & Hove voluntary sector organisations to investigate trends and issues in the sector on data use (their own, existing published data and emerging open data). We’ve taken a particular focus on service improvement and linking up with Intelligent Commissioning programme. As well as the 6 DataBridge groups, this event is aimed at voluntary sector or social enterprise organisations, local government officers and others interested in how data can be better used within the social and community sectors. Please note we’re intending to film the feedback and discussion sessions in order to be able to share more widely (both live and after the event). Bookings essential! Please email maureen@cvsectorforum.org.uk to book, or contact Jo Ivens (07930 663 503 or jo.ivens@gmail.com) with any questions. The Communities department have today published their Code of Recommended Practice for Local Authorities on Data Transparency. It’s intended to drive greater publication by local authorities of a swathe of data from spending, to contracts, to performance. Currently ‘expected’, Ministers are ‘minded to make it legally binding’. The political narrative behind this is that greater transparency = greater accountability, and that having abolished ‘top down inspection’ government is now leading the way in being open about it’s spend and decisions, and that local government should be doing the same. A lot of LAs are publishing much of this information already (apart, we are told again, from Naughty Nottingham who are resisting Uncle Eric), but having a clear idea of what your data LA has published in a consolidated Inventory of Public Data will potentially be useful. I’m not too sure how different this is to what exists already, so it may just be a window dressing exercise on the part of Government. * Transparency is important and useful, but is not analogous to accountability. “An army of armchair auditors” are no replacement for high quality, consistent and independent analysis such as that has been provided by the shortly to be defunct Audit Commission. * Focussing the comms on data on spending and salaries are political devices to maintain in the forefront of the public’s mind the Government’s claim that public services are uniformly wasteful. * What’s actually more interesting and useful is data on delivery, performance, outcomes, decision-making. In particular, thinking about publication of contracts, this could be useful if it also includes publication of the process, the PQQ, the ITT, decision discussions etc. * Publication of data will not in and of itself provide transparency or accountability, so how to use data to engage with communities (the DataBridge project has some ideas on this). * Pickles says “we shouldn’t have to be data experts to see and understand it”. This is a good point, but there is a lot of work required to turn a raw spreadsheet into something that the majority of people can easily understand and use. Who’s actually going to do this? What will their interest be? Doesn’t interpretation automatically mean that someone’s applied their values to information? * Being expected to publish ‘objective, factual data on which policy decisions are based and on which public services are assessed…’ could mean a wider involvement for external partners in providing data and information and contextual understanding to, for example, needs assessments. If LAs are making decisions on poor or incomplete or skewed data, being require to publish their ‘workings’ could expose that, but it will require detailed engagement of those willing to wallow in data and who also understand the local context. * It may indeed push local government to open up not only the needs assessment processes, but also the scoping of commissions, the commissioning decisions themselves including all non-data based factors that influence spending decisions. Each of the DataBridge interviews has highlighted the need for a place to find, and share, local information on Brighton and Hove. However, while three groups interviewed were aware that a local service already exists with this explicit role – Brighton and Hove Local Information Service (BHLIS) – they did not make use of the service for a range of reasons. DataBridge partners, OCSI, have produced a note briefly reviewing BHLIS, including the system content and functionality, and highlighting some of the ways that the system could be strengthened for VCS (and other) users. Note that these are our impressions based on a half-day use of the site: we have not carried out a full review of the system. BHLIS aims to provide local partners with national and local statistics and indicators, and also provide a central location for local reports and analysis. The Data Explorer and ‘Advanced Data Explorer’ provide a searchable list of the datasets, grouped by theme and/or geography. BHLIS holds 73 datasets which can be viewed on-screen, downloaded in Excel (or CSV) format, or visualised using InstantAtlas dynamic reports (see left). The ‘City Wide Needs and Reports’ provides a searchable list of the profile reports, grouped by theme and/or geography including the ‘State of the City’ and ‘Joint Strategic Needs Assessment’ reports. Interactive reports using the live data held on BHLIS (ie, so these are updated when newer data is added) include the Ward Profiler. The ‘Resources’ link provides a searchable list of the resources, grouped by theme and/or geography. BHLIS holds 340 uploaded resources, including local and national reports (such as the Brighton & Hove Joint Strategic Needs Assessment), and links to other online content (such as health profiles for LAs). It is not clear that document (or dataset) resources have been provided by local VCS groups, although the websites for some groups such as Amaze are linked. BHLIS could provide a very useful first port of call for users needing information on the local area. However it currently feels a little neglected, with only 3 data updates in the past 12 months (although many more reports have been uploaded). We appreciate that resources (for BHLIS and other corporate support) are under severe pressure, however BHLIS as it stands does not quite ‘work’ for VCS groups looking for up-to-date local information. The full report makes a series of recommendations for improving BHLIS under the headings of Meeting audience needs, Improving the content, Website brand and usability. Download the full report. All of these resources have been published on the blog as we produced them, but now also gathered in one place on this page. Finding public data for yourself (video) – 8 minute video demonstrating how to use www.data4nr.net to successfully search for public datasets. How they did it (presentation) – a presentation from OCSI’s Tom Smith on how they approached the DataBridge analysis work and tips on using your own data. As we get prepared to post up the detailed ‘how to’ guides and learning tools as we finalise them in September and October, I have collated a list of resources recommended to the six groups already. This will be developed and added to as we go through autumn, and feel free to make any suggestions! Finding data that is published by national government: The Data for neighbourhoods and regeneration (www.data4nr.net) service is run by OCSI on behalf of the Department for Communities and Local Government. This signposts all government datasets that are published at Local Authority to neighbourhood level for all areas across England, covering themes such as the economy and employment, health, education & skills, crime, and so on. The datasets are searchable by theme; keyword; geographical level; whether trend data is available; and whether equalities data is available. A video briefing for how to use Data4nr is being developed as a DataBridge output. Additional datasets that may be available locally: Local partners such as BHCC also hold an enormous amount of data on local issues that is not published nationally (or published on BHLIS). A briefing note on datasets that are held locally is being developed as a DataBridge output. Carers datasets: Carers Allowance data published at Local Authority level by DWP – www.data4nr.net/search-results/554/. The Data4nr search (www.data4nr.net/search/) also identifies other carers datasets, including neighbourhood level from Census 2001, and Local Authority level indicators on carers receiving support services. National analysis of disability levels: work by Eric Emerson at Lancasteron estimating Learning Disability prevalence, downloads from www.lancs.ac.uk/cedr/profiles/Eric-Emerson. NCVO have some useful guidance on basics in their Advice & Support section in particular the section onImpact. I’m going to take a punt that the Census 2001 is still the most widely used data-source in the UK when it comes to targeting local services and allocating resources (if you ignore underpinning datasets such as Ordnance Survey geographic stuff), despite being 10 years out of date. 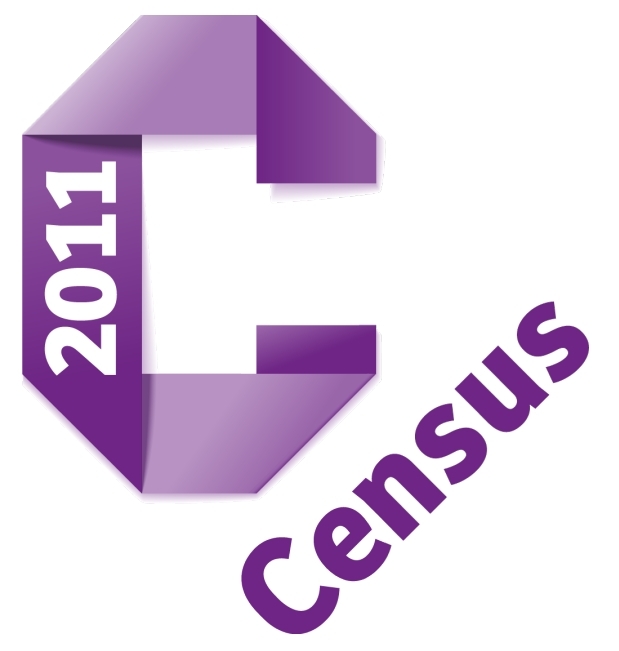 I’m yet to come across a Local Authority or other public sector organisation that hasn’t heavily used the Census for assessing ‘need’, and it’s also a major part in the way that public sector cash is targeted at different areas and communities (not least the formula used for local government funding). And if you’re looking for commercial applications of open (freely available) data, census data is one of the biggest successes. Lots of commercial datasets and services rely heavily on census data, including the ACORN and MOSAIC user segmentations. Which is why I’m excited about the arrival of Census 2011 datasets next year. The latest news is that the raw data has arrived from Lockheed Martin (presumably in big shiny steel briefcases padlocked to the wrists of very burly statisticians), and ONS are hard at work validating it all – with Census Director Glen Watson identifying coverage of 94% of the UK population (although some local authorities may reach as low as 80%, which suggests that coverage for particular groups will again be well below average). First data release (July 2012): UK, region and LA population totals by age and gender. Fourth release (not dated): Multivariate Standard Tables from ward level upwards. These correspond to the 2001 ST outputs. Subsequent releases: Migration tables, workplace tables (ie data based on workplace rather than residential), detailed ethnic/ religious group outputs. In other words, second half of 2012 is when it all gets going (I’ll update the dates when these are published) – just in time for the Olympics. (Part of this is re-used from comments I made on a blog from Emma Mulqueeny). 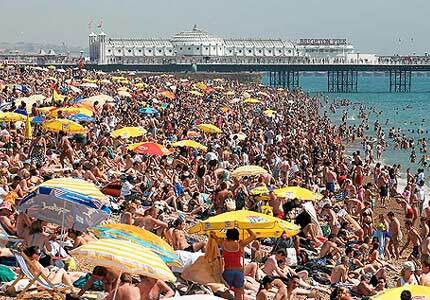 Gratuitous comdey picture of overcrowding at Brighton Beach. *disclaimer – I have never seen the beach like this. We completed our interviews with the 6 groups in early summer, and our reports have now gone to the groups. These are partly an assessment of where each organisation is with data gathering and analysis, and partly a series of recommendations on how to enhance what they currently do, plus suggested sources of data that they may find helpful. The reports will be published on these pages with the consent of the groups, and in the next couple of weeks we’ll be starting to post up the findings from the the group as a whole, plus a collated list of our recommendations and ideas on data sources. As this is a light touch piece of local investigative work we have not written a long project summary but will be posting up a series of blogs talking about the findings, the issues arising and some of the strategic or policy implications. We hope that others in Brighton & Hove will comment on these, respond to what we’re saying, tell us about their experiences and ideas. Meanwhile, in ‘phase 2’ of the work, more detailed analysis of a specific data ‘brief’, OCSI have been collaborating with Amaze to compare their COMPASS database with other datasets, to highlight where there are particular neighbourhoods or groups that are under-represented in COMPASS. This could be used by Amaze to target work to increase take-up in certain areas, illustrate specific areas of need, target marketing, or to develop contact with gateway workers. We chose this as it is a piece of work that could be usefully replicated by other groups with their own user group and databases. The approach and data sources used here can be replicated by many other VCS organisations. We’re using open source tools and OCSI will produce ‘how to’ guides for the basic techniques they use, all to be published here. Towards the end of October we will be holding a feedback event with Dialogue 50:50 – the cross-sectoral partnership group on measurement, evaluation and voice. We plan to spend half of the time on sharing learning, including demonstration from OCSI of their work with Amaze (including how this could be replicated in other organisations) and to discuss common issues with data analysis, data use and data sharing. The other half will be a discussion with Brighton & Hove on the City’s plans and ambitions on city-wide intelligence, data-sharing, and open data. I hope that this will inform any response from Brighton to the government’s Open Data consultation (closing 27 Oct). 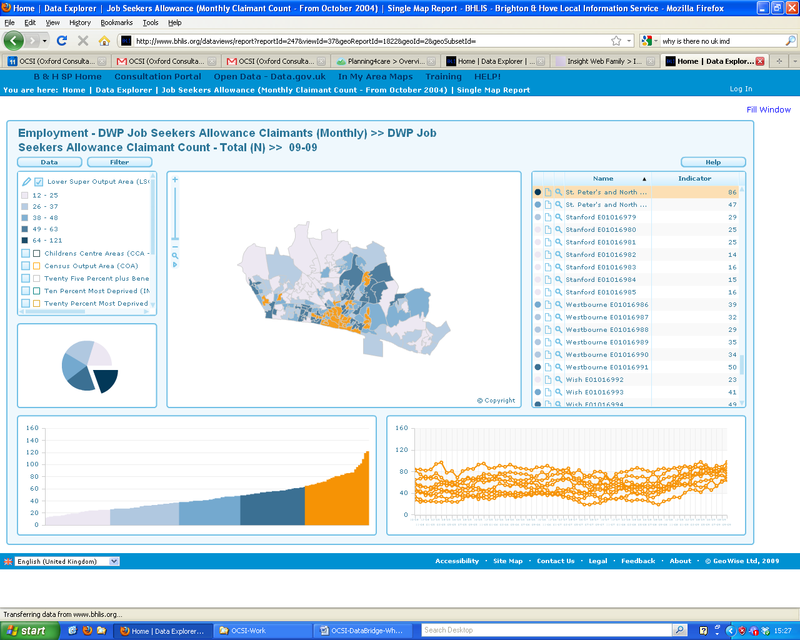 3/8/2011 – Open Local Data: Where Is The Leadership? 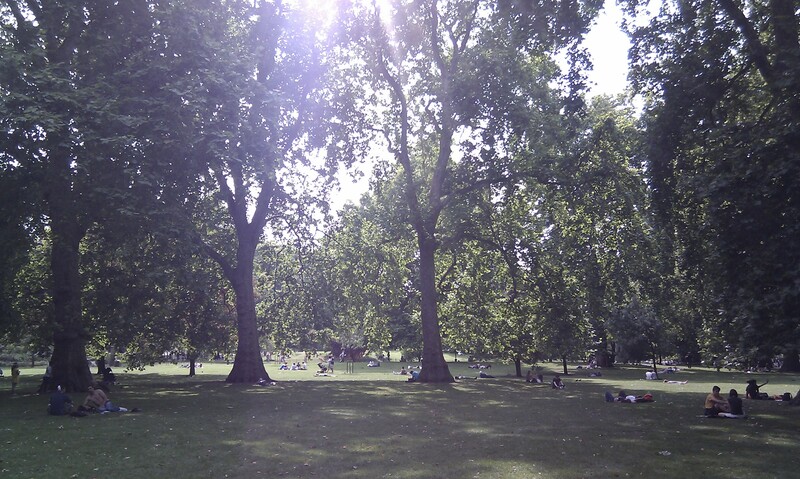 I’m blogging from the dappled shade of St James’ Park following a stimulating Whitehall chat about Transparency, in particular about Open Data, its potential to stimulate economic and social growth and the role of government in this. So, I suspect the key consulation question for government is: what is central government’s role in open data for economic (in particular) and social (as an addition) growth? Beyond releasing the information, is there one? For me it’s more important to be debating local government’s role in open data. How can local government both facilitate social and economic growth through open data, while maximising its impact in the areas that it is itself responsible for? The social ones. I still think there is a gaping lack of leadership on this issue from local government, with the LGA seemingly consumed with internal politics and ongoing HR wrangles, struggling to deal with the fall-out from it’s (almost-) hari kiri response to the last year and the seismic shift in local finances. Local authorities, as always with any large group, are a very mixed bag, with some seeming to embrace the agenda, some goodnaturedly jumping in without really understanding what it means, some taking small, collaborative considered steps, and some stonewalling completely. So who steps into this gap? It is clear that central government is not interested in leading on the practicalities of this work, and perhaps they should not be getting their hands mucky with this. Herein lies the opportunity for both local government and the voluntary sector. Let’s work out what it means, what the opportunities are, and what’s needed to get there. As always we must use the tools at our disposal, which means responding to the consultation with enthusiasm and grab the lever that it and any future Open Data White Paper will give us. Tom from OCSI and myself have had our meetings with the six DataBridge organisations during June. I am currently writing up a summary of the issues we discussed with each group including some recommendations from OCSI on other data sources that may be useful to them. In conjunction with CVSF I’m hoping to bring together (or plagiarise – please make suggestions in the comments!) a list of resources and tools available around practical issues such as data collection and management, and perhaps more widely on evaluation. 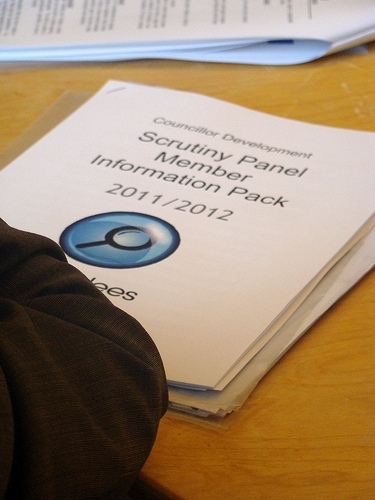 In terms of our findings, some of the issues that were commonly raised were that organisations are keen to have more detailed local population data than they currently have access to; a general belief that little is done with the monitoring data that is required by funders and commissioners, and of course a widespread concern about resources available to invest in data collection, management and analysis. Our next stage is to work in more detail with data from the groups to illustrate how their own data can be used in conjunction with existing public datasets, and to think more specifically about what Open Data the local authority or health services can provide that would usefully feed into this picture. This data analysis phase is keeping a practical focus and is gearing towards a Feedback session for the groups and others in the voluntary sector, in early September, and a series of step-through guides on how to replicate the analysis OCSI did. Thinking about the strategic side of the project, I will be writing up what we learned that will be important for the Partnership as it thinks in more detail about implementing Intelligent Commissioning and how it builds systems for gathering city-wide intelligence. An important part of this conversation will be about the value the Partnership places on sector data and the resource needed to access it. My other big question is: we assume that better information can lead to better decisions, but how can we ensure that it does? A critical question for the sector will be how willing are we to share our data, with each other, with local government and with the public (and therefore, potentially, with private sector competitors)? What will it take to do this? How do we come to terms with the challenges of working more in collaboration with organisations that have historically been competitors, albeit usually friendly ones? Finally, I am keen for the Open Data angle to remain at the forefront of what we’re thinking about with DataBridge. I was most struck at CityCamp by the Chief Information Officer for the Partnership saying ‘Just tell us what you want, and we’ll release it’. A brilliant offer, and one that I’m planning to call him on, but in itself rather overwhelming! “Transparency is the most important policy lever we’ve got, and open data is the critical part of this”, so says Tim Kelsey, the government’s new Director of Transparency. At a Demos seminar this lunchtime the explained the vision and scope of the Government’s ambition on open data. The Government thinks that open data will be both the trigger and the fuel for opening public services, increasing choice and accountability, and boosting economic and social growth. They’ll be publishing a Transparency Strategy in the next couple of weeks for consultation. Themes of Accountability, Choice, Productivity & Quality in public services, and Social and Economic Growth are closely linked to those in the Open Public Service White Paper and are seen as underpinning progress on government desire to open up public service markets. We cannot assume that social innovation happens in the same way as commercial innovation, the resources and actors involved are often very different. Government will have an important role in stimulating social markets and this will be very different to any action they chose to take in relation to commercial markets. We need to consider the capacity of ordinary people, citizens, communities to access, make sense of and use open data. Currently, the assumption is that ‘cliques of geeks’ will magically interpret this data for us and make amazing apps . Open data is not and should not be just for developers and techies – this is just as restrictive and divisive as not publishing the stuff in the first place. Data needs to be published in a way that is useful and which protects peoples’ privacy, which means that some thought must be given to eventual uses and eventual users. This clearly places me firmly in the ‘think about it, do it right’ camp of the Open Data movement, as opposed to the ‘just shove it out there and people will use it’ camp. My reasons for this are not just about accessibility, but also about contributing to long term social gains by thinking wider than Boris bike apps, as handy as they may be, but being ambitious about the scale of social impact by enabling the social markets I was talking about earlier. Most public services are delivered at the local level, or increasingly with personalisation, at the individual level. Central government’s commitments are welcome but let’s not pretend that this is where it ends. I do not believe the central government can or should command local government to get with the programme on this, rather that local government itself should be showing leadership. Some of the first of these points were discussed by the rest of the panel, in particular Dan Leighton, Head of the Public Interest Programme at Demos, but little useful comment in the issue of making it local. 7/7/2011 – Open Data – Social or Commercial Opportunity? Rumours of imminent government announcements about what local government will be ‘required’ to publish have prompted me to write up some of the goings-on in recent weeks. While I’ve been focusing on DataBridge assessments with our six lovely groups in the last two weeks, I have also been venturing further into open data territory including an Open Data Master Class run by Horizon Digital Research Centre at Nottingham Uni, a session aimed at public and voluntary sectors. Open Data is not just for developers (referenced to the very wise Tim Davies) – I say this all the time. If public sector organisations exist essentially for social good then surely they should be focusing on how Open Data can be used to created social benefit, innovation and impact? The commercial applications will happen of their own accord and in my view it’s not something that government should take an active role in stimulating beyond simply making data available. Social applications on the other hand do require stimulation. There is a very different sort of market for these and we are making a lot of assumptions about the power of open data to result in better services. These need to be tested and proven before the monetary case for social applications is proven, in the meantime we must stimulate and explore social uses of open data such as improving service planning and commissioning decision. One of the main aims of DataBridge is to understand and be able to start to address the access issues to using Open Data within the voluntary sector. We have chosen to begin with what organisations do now, and what their ambitions are for use of data, and to use this as the driving force behind work on capacity in the sector and to drive work with local government on how to release Open Data and to develop broad-based City-wide knowledge. The telling thing is that in spite of all of these challenges we are still assuming that open data is A Good Thing and that it should be encouraged and pursued. The discussion at the Open Data Brighton & Hove group last night with Cllr Jason Kitcat and lots of others got me thinking about not just opening up data held by the council, but about the flow of open data in a more circular way, and who else has data to contribute to our understanding of the City – in particular, the voluntary and community sector. Two pootling ten minute train rides and an animated discussion over breakfast pastries later, and I’m playing around with this model to help think about these ideas and how to progress them. Obviously there ought to be many more arrows on here, for example, linking a VCS data store to Other Locally Generated Data, and linking Data Out to a VCS data store. In fact, I could have made it into a nice virtuous circle…a project for another day. Under Data Out, I’m including the current work by Paul Brewer et al on the Google doc on opening up existing published Brighton & Hove City Council datasets but also, those that aren’t currently published, those that could usefully be published, and those from other public agencies such as the health services and Police. Under Data In, I’m thinking particularly about the vast and varied data produced by the voluntary and community sector, but this would also include things like data sets on public transport. This could help build a more nuanced understanding of citizen needs and help make more transparent (and more supported?) spending decisions. Under Data Between, I’m thinking about ways of enabling VCS organisations to use data from elsewhere in the sector to feed into their own research, decision-making and bidding. A VCS datastore is not a new idea, but something I’d like to explore locally through the DataBridge project, even if it’s only a very simple repository of shared data sets. I am choosing not to address right now the issues around data and competitive advantage for voluntary sector providers over other providers, which has been written about by others – but definitely one to come back to. Is this a useful way of thinking about all this? I think it breaks down what is a potentially vast area into more manageable bits, but all of which are supportive of each other. A work in progress, obviously, and thoughts very welcome. A VCS data store is a vast challenge, and not one that can be created without a serious project plan and funding, but what other examples are there out there of areas tackling this question? Are there templates or existing models used to share data within the VCS in a locality? Any other comments or suggestions?! 19/5/2011 – How Does Data Contribute To Decision Making? As we get underway with the ‘fieldwork’ of DataBridge, I’ve been thinking about how information is used to support decision making locally. Ultimately, I think the value of DataBridge to the local partnership in Brighton & Hove will be in supporting the sector to be able to provide robust data on commissioning priorities. This means being able to contribute to both the scoping of what services are to be commissioned and the commissioning decisions themselves. For example, how can we use data to illustrate the link between advice services, mental health and financial inclusion? If we know that financial distress leads to not only people struggling with their tenancies but suffering from mental ill health as well, how can we quantify the interventions and beneficial impact of advice services? I know we’re getting into the realms of measuring impact rather than need here, but the example serves to illustrate how the issue cuts across not just departments of the local authority, but across health services too. I have been reading the Brighton Joint Strategic Needs Analysis, it’s not a document to be digested all in one go, so I may have missed the crucial detail here, but I wonder how voluntary sector data was fed into the detailed analysis? It’s good to see a position statement from the CVS Forum included (p.48) and that this was gathered from a number of events over a lengthy time period, but it would make sense for voluntary sector providers of public services to feed in what they know from their data collection and evidence gathering to the way the city assesses and makes decisions about addressing need. Maybe this already happens, more sleuthing required! I am spending some time when I can getting to know BHLIS too, with a view to continuing the useful discussions that have started with officers on how voluntary sector data can be channelled in as a matter of course. 16/5/2011 – DataBridge – the Groups! I’m very happy to say that we have six groups who have agreed to take part in the DataBridge project. Together, we’ll be looking at how the links between their work and financial inclusion. The Advice Partnership aims to ensure increased access to high quality advice services for residents in the City. East Sussex Credit Union is a not for profit savings and loans co-operative and aims to provide a high quality, sustainable and easy to access savings and loans co-operative, which is responsive to the needs of the people of Brighton & Hove and actively combats the detrimental effects of poverty and financial exclusion. Amaze gives information, advice and support to parents of children with special needs and disabilities in Brighton & Hove. They work to empower parents to help their children live fully socially included lives. The Carers Centre for Brighton & Hove is a local charity which exists to support anyone caring for a partner, relative or friend who needs help because of illness disability, substance misuse or old age. Mind Out is a service for people who are lesbian, gay, bisexual or trangendered and have mental health concerns. Grassroots CIC is a community interest company that supports communities to prevent suicide. They are specialists in suicide prevention and deliver training that saves lives. Each group will have a more detailed profile in time, and I hope they will be able to contribute to the blog to share their experiences as we go along. Welcome to you all! Today is the first of my DataBridge Fridays, my regular day at the OCSI offices in sunny Brighton, where we’ve been bashing out the details of how we think DataBridge will work. With the back drop of tweeted news about the local election results and accompanied by quantities of Earl Grey, we have spent some quality time going through the detail of what we want to offer with DataBridge. 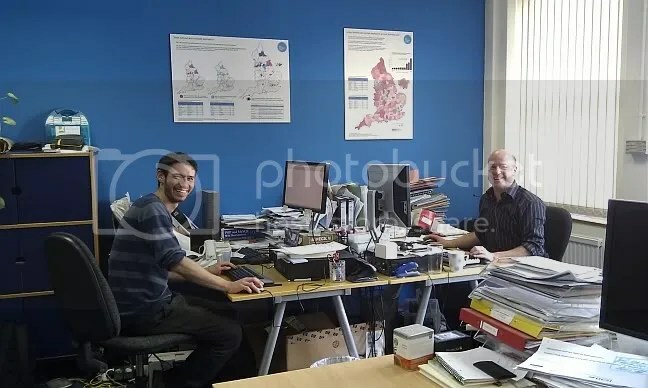 Graham (left) and Tom at OCSI’s tidy and organised offices. This pilot is running on a zero budget – but we’re not seeing this as a problem! Tom has committed 10 free days of OCSI analyst time to the project and I am giving a day or two a week in project management, liaising with the groups and CVS Forum, examining the links with Brighton & Hove’s Intelligent Commissioning programme and their city-wide data work. The CVS Forum is supporting the project too and their Policy & Research Manager, Emma, has been a fount of excellent advice so far. Groups who have a commitment to the quality of their own information, want to use it more effectively and want to help improve the way we use data in Brighton & Hove. Groups who are happy for this piece of work to be very open, collaborative, to blog and be blogged about, to be used as case studies in the evaluation and in conversations nationally about open data, for the reports produced as part of the project to be shared. Groups who sit comfortably (even if not directly) under the themes for the next Intelligent Commissioning round. a 1:1 assessment of the groups’ use of data for fundraising, advocacy, evidence of impact, influencing & policy work. With about 3 (probably) of the groups OCSI will be able to go into much greater detail and provide a detailed report using the groups’ own data, existing published datasets and, potentially, relevant datasets provided to us by the local authority. This will be followed up with a feedback session showing ‘the workings’ – how the report was constructed and how it can be replicated. Wider sharing of learning and evaluation will follow this. Next week looks like it will be about starting to talk to the groups, refining the details of this offer after hearing what they have to say; talking to Brighton Council about BHLIS (Brighton & Hove Local Information Service) and doing more work on the project plan and researching the baseline questionnaire. Open Data, transparency and accessibility and use of public sector information is a hot topic. We know that there’s a lot going on in this field and want to add to the knowledge and ideas rather than duplicate. Here are some of the most useful links, projects, blogs and twitter feeds we’ve found so far. It’s a work in progress and suggestions are very welcome, please comment below. 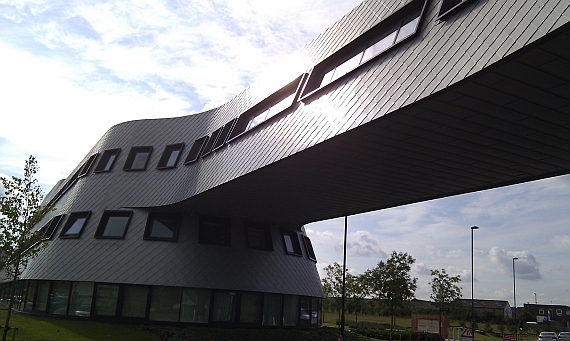 Suffolk Observatory one-stop-shop for data, statistics and reports about Suffolk. Another good example of interactive local data. Nottingham Insight a great example of how usable local information can be made. Useful voluntary sector area. BHLIS Brighton & Hove Local Information Service provides access to a wide range of national and local statistics and indicators relating to Brighton & Hove. Other Local Information Systems – search for your area here. Open Data Manual by the Open Knowledge Foundation, explains the basic concepts of ‘open data’, especially in relation to government. Is aimed at everyone, no technical expertise required. LinkedGov aims to create as complete as possible a body of public data that is accessible, discoverable, human-readable, machine readable, comparable and internally linked. Brighton & Hove Open Data Wiki does what is says on the tin. Also useful is Paul Brewer’s blog on creating it, and how you can contribute to it. Open Kent where public sector bodies in Kent can publish information about the services they provide. Open Data Cook Book The open data cook book is collecting recipes for ways to find and use open data, particularly open data of social value – such as open government data, or open data for campaigners and charities. Data4nr identifies and links to datasets available for targeting, monitoring, priority setting and performance management at a neighbourhood level. Neighbourhood Statistics from the Office of National Statistics. This tool allows you to find detailed statistics within specific geographic areas. Local Evidence Guide (pdf) a guide by Creating Excellence to finding detailed information about the characteristics of your local area, and the people who live and work there. 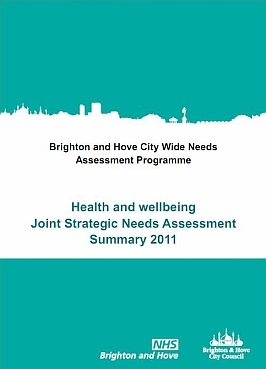 Brighton & Hove Joint Strategic Needs Assessment (JSNA) aims to identify “the big picture” in terms of the current and future health and wellbeing needs of the local population. Produced by the Council and the Primary Care Trust. My blog I blog on things to do with local government and the voluntary sector. Here is my first post about DataBridge. Local government is opening up more and more data on how services are provided, where they’re provided and how much they cost to provide. But just opening data is not enough. DataBridge is a collaborative project to explore these ideas. It’s led by Jo Ivens, an ex-VCS sector, former civil servant in the Cabinet Office’s Office for Civil Society, who is passionate about the voluntary sector and social enterprise and its ability to change lives. Technical expertise is provided by Oxford Consultants for Social Inclusion (OCSI), a spin-out research consultancy from the University of Oxford. OCSI develop and interpret the evidence base to help the public sector and other organisations deliver better services to the public. Further advice, support and local expertise provided by Brighton CVS Forum. We intend to share the journey on-line; to use what we learn to work with local government to improve the way in which they open their data; and to look at how government data enhanced with voluntary sector expertise can help deliver better services.